One thing I’ve learned about Uber and Lyft driving is it’s an amazing opportunity for observation. As a driver myself, I’ve met people from all over the world, people of every profession, and people who live almost every kind of lifestyle imaginable. With such exposure to different kinds of human beings, one begins to realize how people of different cultures and mindsets respond to different things. Whether its certain conversation topics, use of certain dialect, no two people respond exactly alike, but you;ll find that the similarities that do exist can be quite fascinating..
Not surprisingly, one of things that brings about both the most diverse and emotional reactions is music. In the video you watch when you first become a driver, it mentions music as a good way to make a rider feel comfortable. It is not uncommon for both passenger and driver to feel awkward in an uber, especially if the two aren’t talking, which happens quite often. (Not everyone wants to talk to their uber drivers, I get it). That’s where the music comes in, but there in lies a challenge. What kind of music do you play? No two people have identical taste in music, and unless you’re dropping someone off at rave or their shirt has an artists name plastered across the front, there’s no real way to predict what that taste is. The closest you can get is by judging a book by its cover, so when I’m behind the wheel I usually just play whatever I feel like (as long as its mostly devoid of vulgarity), which quite frequently is EDM. It’s also important to note that EDM, like every other kind of music, is not age specific. Obviously there are more younger people at a rave than older people, but a lot of people forget that electronic music has been around for over thirty years now. That means someone who first became a fan in their 30’s is now over 60 years old. Considering the significant possibility that people of any age and background can enjoy EDM, the variation in reactions to the music is mostly dependent of the genre. Now, most people aren’t audiophiles and thus could not tell you the difference between tropical house and liquid drum and bass. Most of them refer to all electronic music as “techno” anyway, and unless I was driving a passenger to Vegas from SoCal, there definitely isn’t enough time in one uber to explain the difference. To these people, there are two genres of EDM: the quiet kind and the loud kind. To blast the volume. People who love that stuff, LOVE it, and on top of that, they’re so happy they found someone who feels same. I’ve had people give me hugs because of it. I’ve gotten 20 dollar tips. On the flipside, those who don’t like “the loud” feel the same way about their opinions. On the scale of a poorly disguised scoff to a full-on lecture on how EDM is the reason the music industry is only about profit anymore, the latter is much more common. Some people “don’t get it”, others “think its trash”, I can’t say positively, but I’m pretty sure playing it has landed me a few one-star ratings. The much safer bet is the quiet kind. Other than the fact that deep house and tech house are already becoming much more popular, the genres that are more minimal are much easier to talk over. When someone’s really into the new Wiwek track, they usually stop dancing (as well as they can in a car) long enough to ask if I’m going to EDC Vegas, but if there’s some tech house or low-key bass vibes playing the background, it gives you a chance to really engage someone who’s into it. I’ve discovered several new artists that way. Also, those types of music have a much more tight-knit following compared to the sounds you hear closing main stage. Dirtybird and Desert Hearts are two examples of entire movements being sparked from a house beat and a funky bassline. 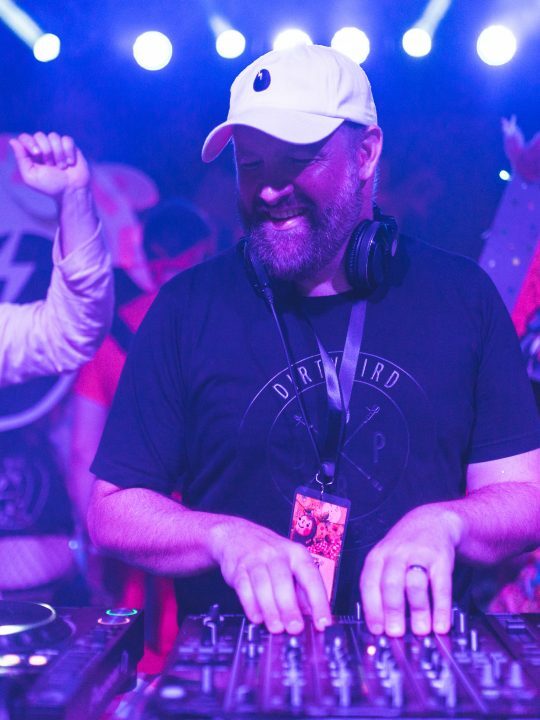 Both of their festivals (Dirtybird Campout and Desert Hearts fall festival) had approximately four thousand people in attendance. With a relatively small number like this as well a very similar core sound (Fun fact: Claude VonStroke, J. Phlip and Mikey Lion spun at both), there was quite a bit of overlap as far as who went. The number of friends I’ve made through mutual friends because I went to these festivals is pretty rad, and a few of them were initiated by Uber and Lyft. The style of electronic music that truly shines in the car is Techno. Good old fashioned techno. If you really think about what techno is, there’s nothing to dislike about it. On the Lyft website, the recommended kind of music to play is “calm beats.” That’s what techno is, and all the best techno DJs understand that. I’ve driven for nine hours while listening to three mixes by Sasha. There was never a point when I felt like changing it, and at one point every passenger was tapping something with the infectious groove. It’s not distracting. It’s not foreboding. Just something to bob you’re head to, and if you do happen to come across someone who’s really into it, it’s like meeting a long lost brother or sister. It’s honestly comparable to meeting someone who’s really into jazz or classical music. Defined taste, supported by numerous intelligent examples. So if any of you out there are drivers, don’t be afraid to play your new favorite electronic track. There are a lot of ravers in the world, and they’re always happy to meet a fellow member of the tribe. Looking past all the bad things people hear about Uber, it gives you a rare chance to engage people one-on-one. I don’t know about you, but I’d rather bond with someone over music than anything else. Plus I’d imagine relying on the radio gets old after the second commercial break.